Detoxification, or detox, is the [link url=”https://www.detox.net/can-you-die-during-alcohol-detox/ “]clearing of a substance from the body[/link] to pave the way for a clean recovery. This allows the individual to begin treatment completely sober, setting them up to transition into a recovery period unfettered by any lingering toxic influences from previously abused substance(s). Detox programs can help people manage the withdrawal symptoms that may arise, some of which may be dangerous or life-threatening, depending on the drug. They can administer medical and mental health interventions, when needed, and otherwise provide the support and supervision that an individual needs throughout the detox process. The price of these programs varies based on numerous factors, but insurance generally covers at least part of these costs. The type of program: Inpatient detox tends to cost more than outpatient detox. The length of time: Longer-duration detoxification programs will have higher associated costs than shorter ones because they generally charge by the day. The program location: Urban detox programs tend to cost more than rural ones. The program’s amenities: Different inpatient programs may offer their own diverse range of recreational activities and comforts, which could greatly influence treatment costs. On top of these program-specific cost variations, the price you end up paying for detox will vary widely based on your insurance plan. Programs differ in the insurance plans they accept and plans vary in the levels of care they cover. Make sure to ask your insurance provider about detox coverage when looking into program options. 1-888-509-8965	Who Answers? . Take back your life today. On top of this, insurance companies cannot deny coverage for pre-existing conditions, such as substance addiction. This means that you can apply for insurance coverage regardless of what stage of recovery you are in. Insurance can help to drastically cut the costs of detox and substance use treatment. Every insurance plan is different, but most plans will cover detox to some extent, if not completely. If you have insurance, call your company to ask about your plan. Ask them about what levels of substance abuse treatment are covered, specifically detox. Ask about the percentage of costs covered for in-network and out-of-network providers. Ask about deductibles and co-pays, including what your maximum out-of-pocket cost would be. Ask them what they deem to be “medically necessary” treatments. 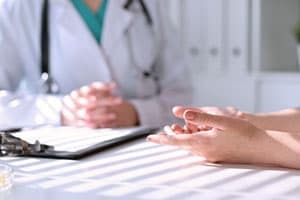 It is very important to get a professional assessment done because once you have an official substance use disorder or drug addiction diagnosis, you will have a better idea of what your insurance plan will cover. The open enrollment period to apply for a health insurance plan is from November 1st to January 31st each year. The open enrollment period for people to apply for a health insurance marketplace plan is from November 1st to January 31st each year. If you do not already have insurance, a lower-cost plan is a great option to consider to help mitigate your detox and treatment costs. Medicaid and Medicare are government-sponsored insurance plans that provide coverage for drug and alcohol addiction assessments, but treatment is not always guaranteed. Medicaid is an insurance plan catered toward low-income households and will vary from state to state. Nearly 12% of adults using Medicaid suffer from a substance addiction 4. Medicaid requires that certain forms of substance abuse treatment be covered, such as detox, inpatient, and outpatient., though this depends on the program. When looking for detox programs, be sure to ask the facility if they accept Medicaid insurance. Medicare is an insurance plan for people who are 65 years of age or older and for those with a serious disability. The coverage for Medicare varies depending on on the type of addiction treatment that you are interested in 5. It is likely that detox services, outpatient treatment, and inpatient treatment will be covered to different extents. Medicare also includes a preventive benefit to provide a screening assessment as well as therapy for those who show problematic drug or alcohol use but haven’t progressed to dependence or addiction yet. Be sure to ask if the facilities you’re considering accept Medicare. Detox is a vital first step in the recovery journey. For help finding the best detox program to suit your needs, both personal and financial, call our helpline at 1-888-509-8965	Who Answers? . Take back your life today. United States Department of Labor. Mental Health and Substance Use Disorder Parity. Employee Benefits Security Administration. U.S. Centers for Medicare and Medicaid Services. Mental health and substance abuse coverage. Medicare Rights Center. Medicare coverage of treatment for alcoholism and drug abuse.